In this tutorial you will find information on how you can set up Ozeki NG SMS Gateway with an external application. The Application starter feature of Ozeki NG SMS Gateway software product allows you to run programs in case an SMS message comes in. Please follow these steps to set up this helpful solution. You can find video tutorials above which give you some information on how to use this functionality. 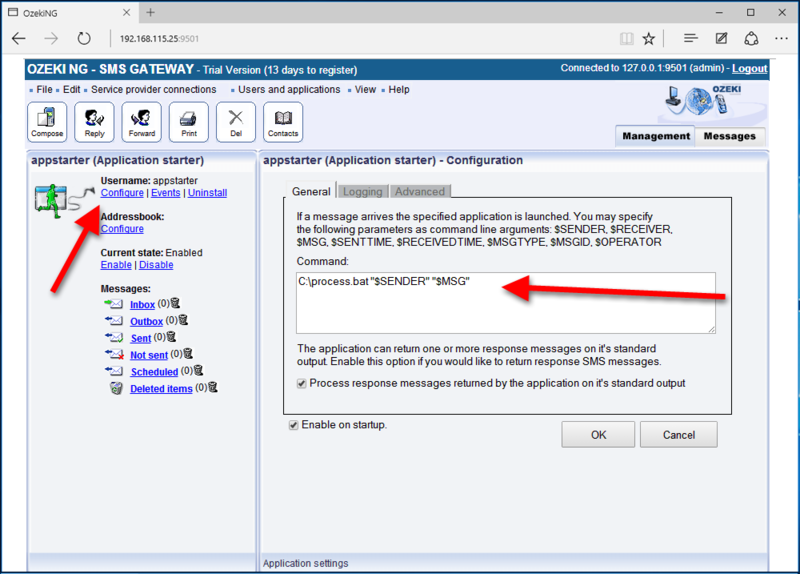 In this guide you will find information on how you can you run an application with the Application starter user of Ozeki NG SMS Gateway when an incoming SMS is received. First you need to configure the SMS service provider connection in your Ozeki NG SMS Gateway. For receiving SMS messages the configuration of a service provider connection is neccessary. 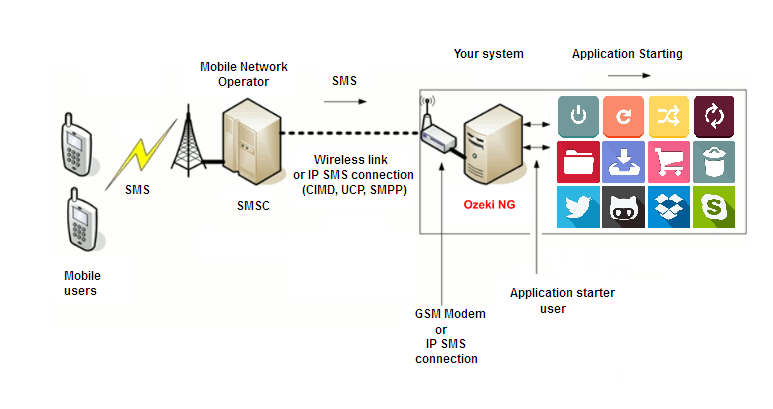 You can find information at this website on how to set up Ozeki NG SMS Gateway with SMPP service provider connection. On the following webpage you can find a list which includes moreservice providers. 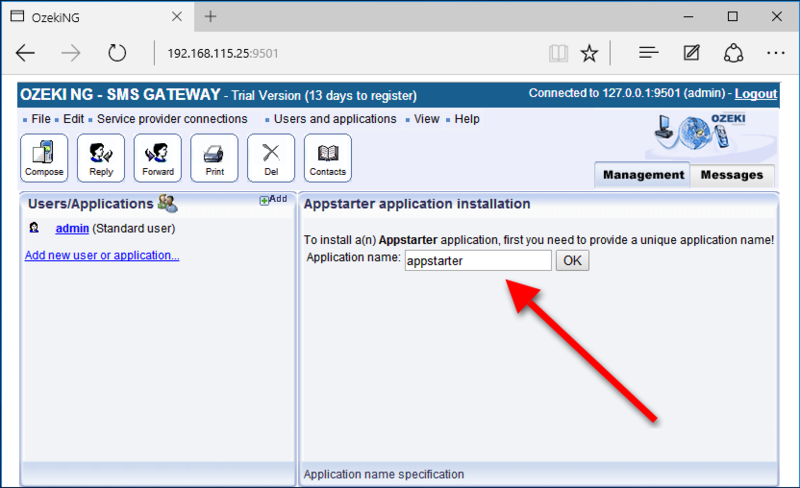 After you configured the service provider connection you can start the installation of the Appstarter user. 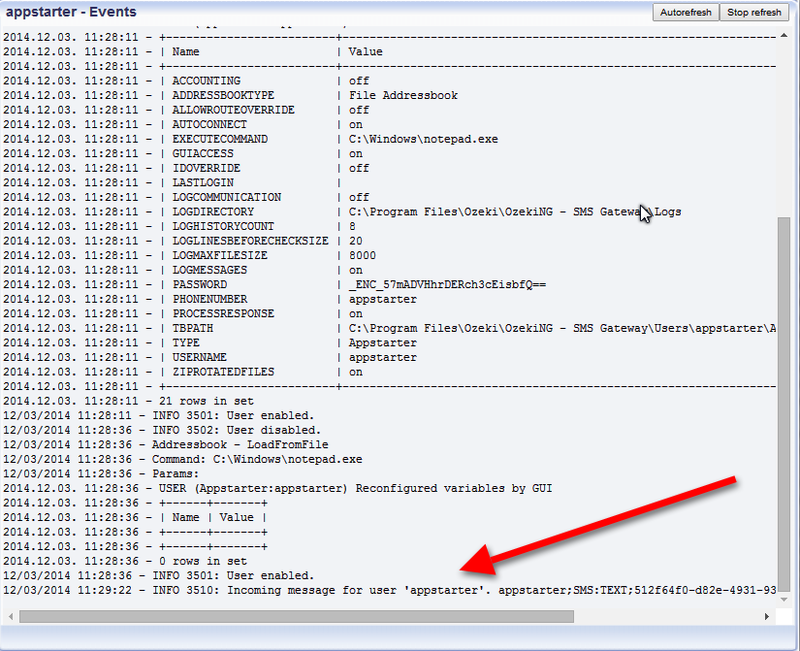 Figure 4 - Starting an application "notepad.exe"
This process is a service process, that runs in the background. 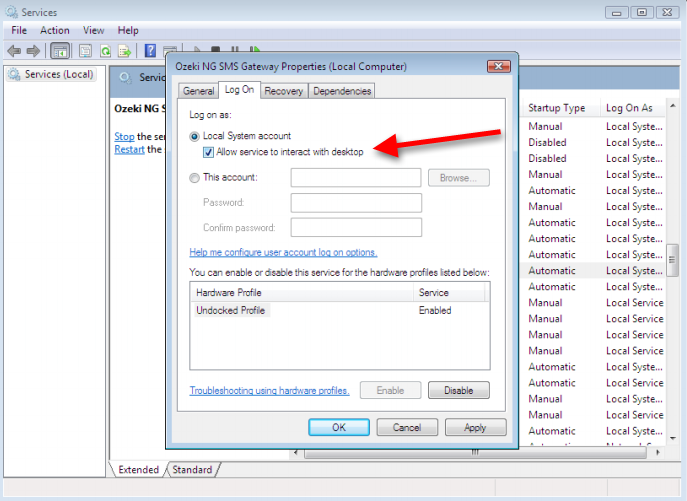 You can configure the Ozeki NG SMS Gateway service if you set the Control Panel/Administrative tools/Services menu item. Before you start receiving SMS messages please check your routing rules. You should configure an incoming routing rule and you should add a new routing rule from your service provider and set the Appstarter user as the destination parameter. After you configured the inbound routing you can start receiving messages. If you receive SMS messages your application will start automatically after the Appstarter user received the SMS messages. To summarize the above mentioned, you can start your own application with the Ozeki NG SMS Gateway software product. 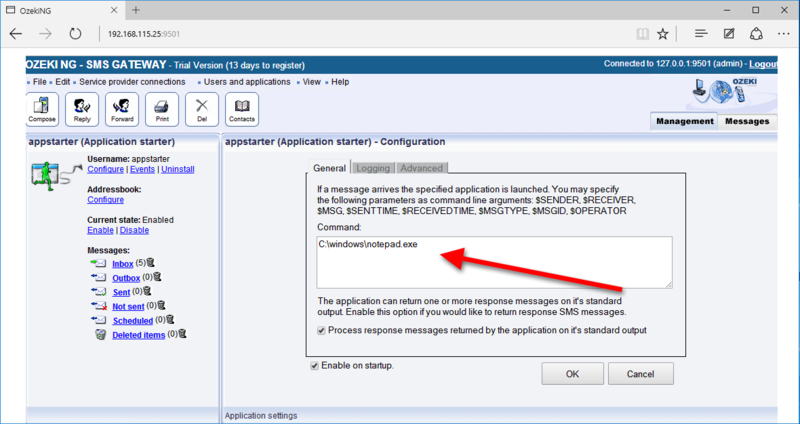 With this tutorial you can run your own application by receiving an incoming SMS message. To achieve this function you can easily configure your Gateway in a few steps. With this solution you will gain a stable, reliable and well-functioning system.